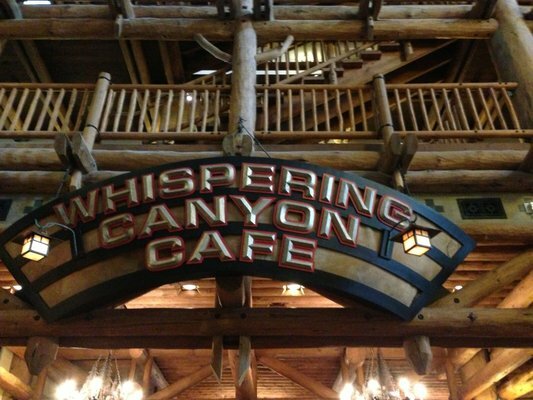 Whispering Canyon Café is a great sit-down restaurant to which you can take the whole family. It is located in the open lobby of the beautiful Wilderness Lodge. They offer family-style, all-you-care-to-enjoy breakfast, lunch, or dinner, or you also have the option of ordering just an entrée off the menu. If you are looking for a good meal in a quiet and peaceful setting, this is not the place for you. The servers and staff make this an exciting and interactive dining experience. You may encounter your table filling up with more bottles of ketchup than you could use in a lifetime, buckets of crayons appearing full of every color you would ever need (even if you do not have little ones with you), and young children riding around the dining room on stick horses without scolding. If you are lucky enough to celebrate here on your birthday, the staff may gather around to wish you a happy birthday and then eat the cake they brought you, leaving you empty-handed. Adults, as my daughter found out, beware yourselves! At the time of her Café experience, she was in her mid-twenties. 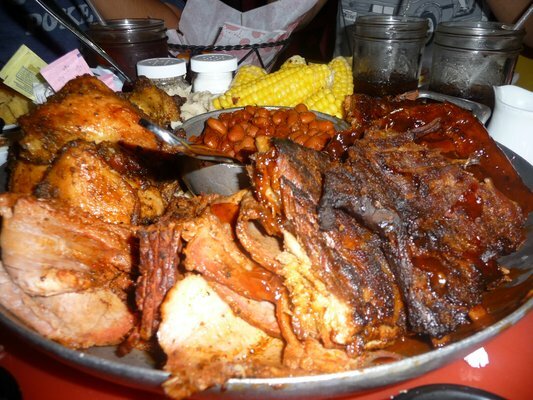 Everyone in the family ordered an entrée from the menu except her; she ordered the all-you-can-eat family-style meal. During the meal she would ask the waiter to bring her a new item to try only to end up taking one or two bites and leaving the rest. When the waiter was clearing the plates to serve our dessert, I pointed out to him how she made him keep running only to take a few bites of everything. Señor Dusty Trails, as he called himself, assured me not to worry; he had the matter under control. Upon his return to the table we noticed he was carrying one of the stick horses intended for children to ride. He stood next to my daughter and, in a very loud voice, asked for the attention of everyone in the restaurant. He regaled the guests with the tale of how my daughter had made him run around all night, only to leave most of her meal on her plate. For her punishment he announced to all within earshot that she was to ride the stick horse once around the restaurant proclaiming, “Señor Dusty Trails is the greatest!” The look on her face was priceless. My daughter, being the good sport she is, went along with it, galloping around the restaurant yelling, “Señor Dusty Trails is the greatest!” until she was out of breath. We were having such a good time watching this hilarity that about halfway through her lap around, I told our pal Dusty that there would be a really nice tip for him if he made her do it again. Upon my daughter’s arrival back at the table, Señor Dusty Trails again called for all’s attention to announce that he was unable to hear her proclaim how great he was the first time around. So he ordered her to complete one more lap but with more gusto and volume! The look on her face was a perfect tribute to the fun we were having. To our amusement, she galloped around the restaurant yet again, hoping to better satisfy the critical eye and ear of Señor Dusty Trails. After completing the home stretch of her second lap, Dusty took her noble steed and dangled it on the back of a gentleman’s chair that was sitting near us, the horse’s watchful eye aimed towards the guest. Señor Trails warned the man that he would be next if he didn’t start treating Dusty better. Señor Dusty Trails was very happy with his tip, and for us… it was an experience our family will never forget! My wife and I are empty nesters and when we make our yearly trek to Walt Disney World, we like to include a couple of romantic dining experiences. 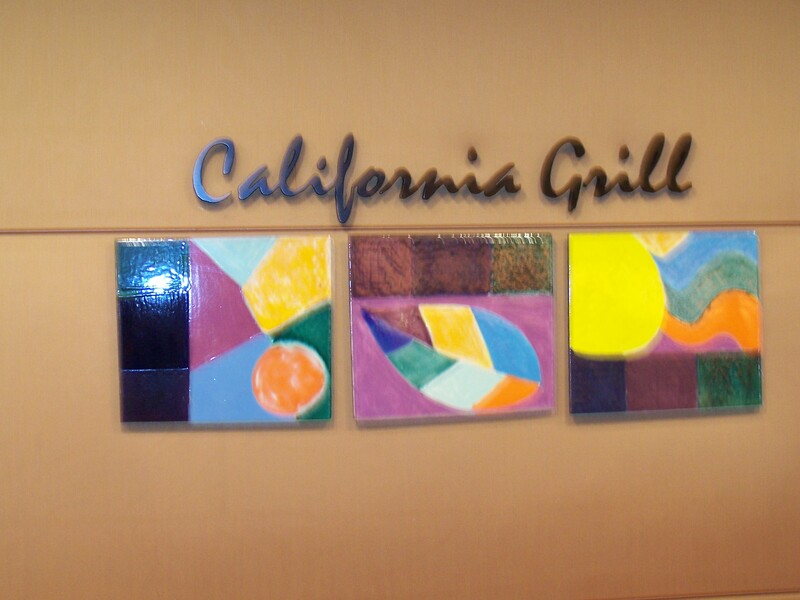 Our favorite romantic restaurant is the California Grill in Disney’s Contemporary Resort. What makes the California Grill so special is the great service, exquisite food and a fantastic view of the Magic Kingdom fireworks. Our server, Topher, never once made us feel rushed or just one of the crowd. His service was very personalized, and he made sure all our needs were met. Topher made menu suggestions, which turned out to be fantastic. When going to the California Grill, we usually try to make our reservations forty-five to sixty minutes before the fireworks display at the Magic Kingdom. 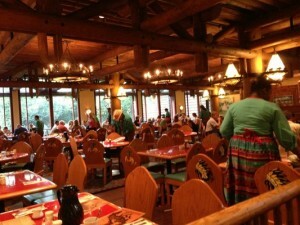 When it is time for the fireworks, the lights are dimmed in the restaurant. You can enjoy watching the fireworks from your table. Or our personal favorite unique experience is to go outside on the walkway which is on top of the Contemporary Hotel for the viewing. There are many fine restaurants at Walt Disney World, but we feel the California Grill is the best in the whole park. doesn’t spend much time in their room and does not need to be pampered. the 20th-century popular culture crazes. 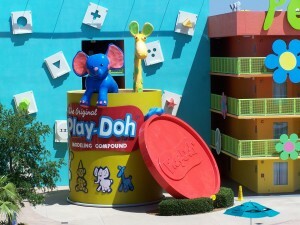 Rooms are located in 10 brightly colored and decorated 4-story buildings. Each building is trimmed with huge letters representing iconic sayings from the decade they represent starting with the 1950’s through the 1990’s. You can enjoy any of the 3 swimming pools—the main flower-shaped Hippy Dippy Pool, the smaller bowling pin-shaped Bowling Pool and the monitor-shaped Computer Pool. The kids can cool off at the Goofy Kiddie Spray Area, an interactive play fountain located between the ’60s and ’70s section. The rooms will accommodate up to 4 people plus one child under the age of 3 in a Pack ‘n Play. These rooms have either 2 double beds or 1 king bed. Room amenities include: an alarm clock, in room wall safe, iron and iron board, table and chairs, telephone, television, voice mail, vanity area with sink, hairdryer and high-speed internet access (for an additional fee). Mini refrigerators are also available for a fee. All rooms are non-smoking. 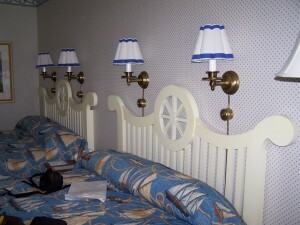 Wheelchair accessible rooms are available upon request and rooms designed for the hearing impaired. Coin-operated self-service laundry facilities are located at Disney’s Pop Century Resort. Also, you can get valet dry cleaning and laundry service which is available for pickup from your room. 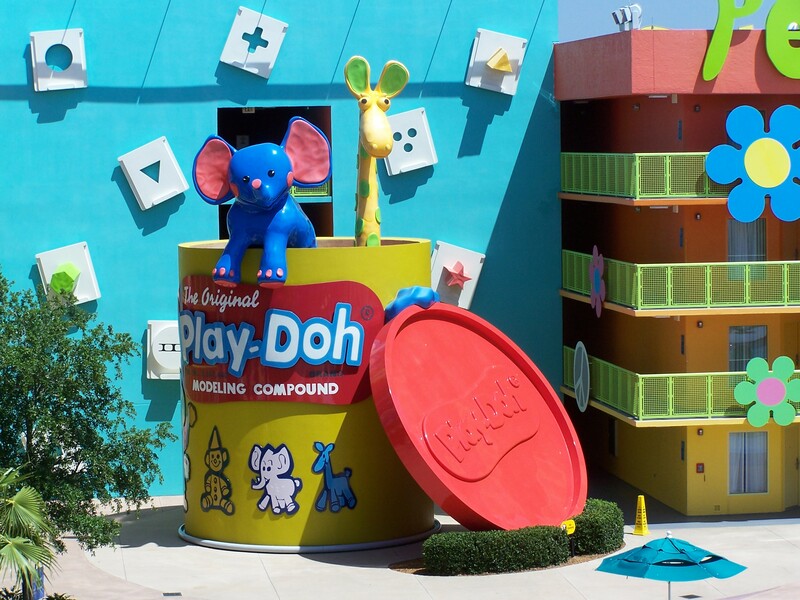 Disney’s Pop Century Resort also offer several childcare services to keep your children having fun—even when you can’t be there. 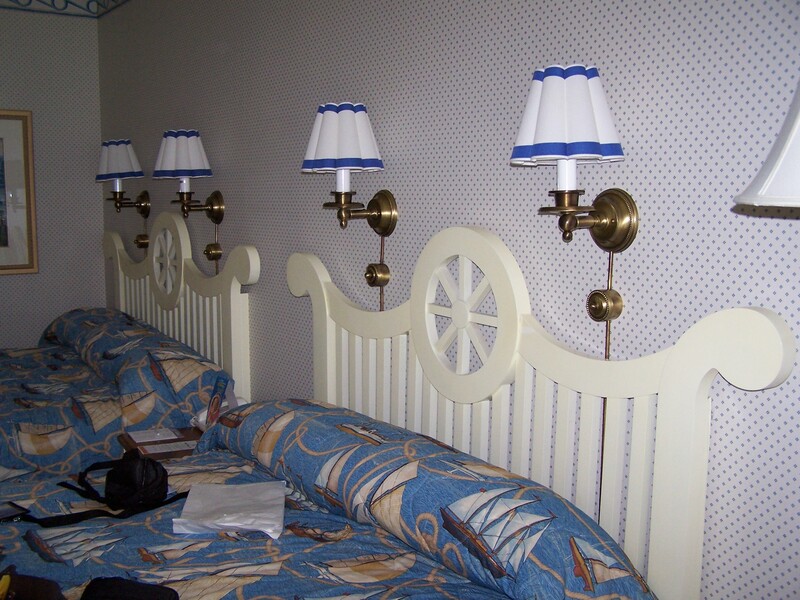 When choosing a themed room, you have a choice or either a standard room or a preferred room. The preferred rooms cost $15 more per day (subject to change) and the only difference between them is that a preferred room is closer to the food court and the pool. Disney’s Pop Century Resort has a souvenir shop, game room, and a food court. The food court offers breakfast, lunch, dinner and an ice cream shop. Refillable mugs can be purchased for unlimited hot and cold beverages during your stay. These mugs can only be refilled in the food court of your resort and not in the parks. 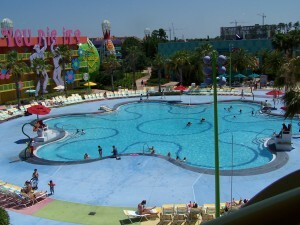 Disney’s Pop Century Resort has the largest food court of all the Value Resorts. 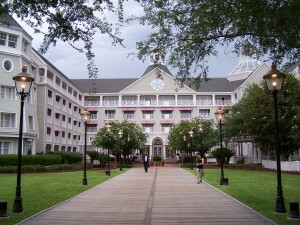 Free bus transportation is available to and from all the parks and Downtown Disney from this resort. October was ushered in with the celebration of Epcot’s 30th anniversary. The event celebrated what the park has meant to guests and members of the Walt Disney family alike. The day spoke to the importance of Disney not only to us as vacationers, but also to those who work there. Two musical groups who had been at Epcot for 30 years performed. 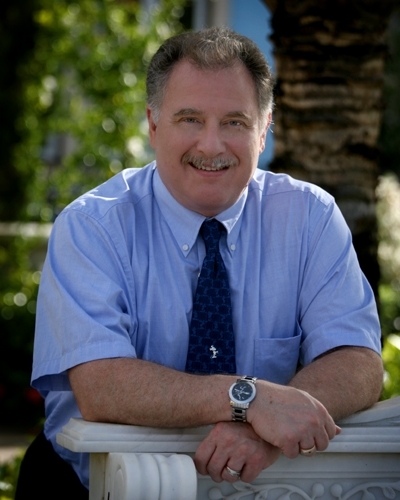 And 150 cast members were honored for having worked at Epcot since they opened their doors. 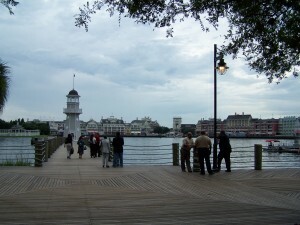 This is part of what makes Disney such a special vacation destination. 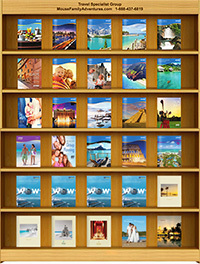 Parks and Places that are like homes to the people who work there, creating a wonderful family experience for your trip. The celebration was topped off with a special addition to the fireworks display. Have you been to Epcot? Share your memory with us in the comments. As a Grandparent I know how precious time with your grandkids is, especially for those who don’t have the benefit of living nearby. Helping extended families plan wonderful Disney adventures that will lead to life long memories is one of the biggest reasons I founded Mouse Family Adventures. 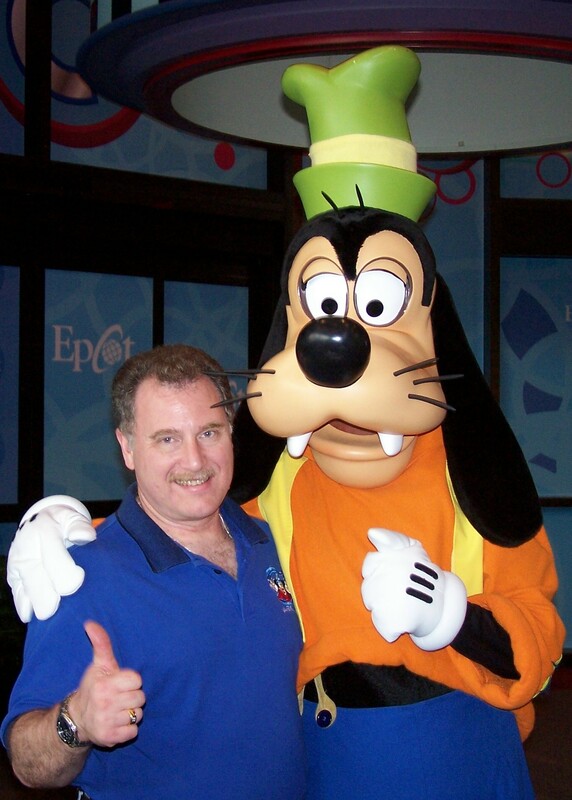 I have loved spending time at Walt Disney World and Disneyland with family, and it is a joy to be able to spend my day planning for others to do the same. It can be overwhelming to plan a Disney vacation. Mouse Family Adventures takes that overwhelm away by tracking down the deals, creating the itinerary, and keeping the details in order. You’ll get great quality time with your grandchildren. This vacation will allow you to interact, spend time getting to know, and just enjoying being together with your kids and grandkids. It is a fun family gathering. This will be an adventure the kids will WANT to join you on. The memories you make will last a lifetime. My family still talks about our first trip to Disney over 30 years ago. Want to plan a special evening? 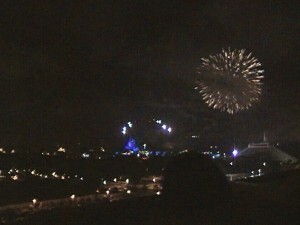 Watch the Magic Kingdom fireworks display from on top of Disney’s Contemporary Resort. You’ll be able to enjoy a fantastic dinner, and a fantastic view! Do you have a favorite Disney location? Share it with us in the comments! Welcome to Mouse Family Adventures! We’re just getting started, so check back in a few days to see new content!